Pitched Roofer Sheffield - TNT Roofing Specialist.. If you need tile roofer Sheffield then contact TNT today. 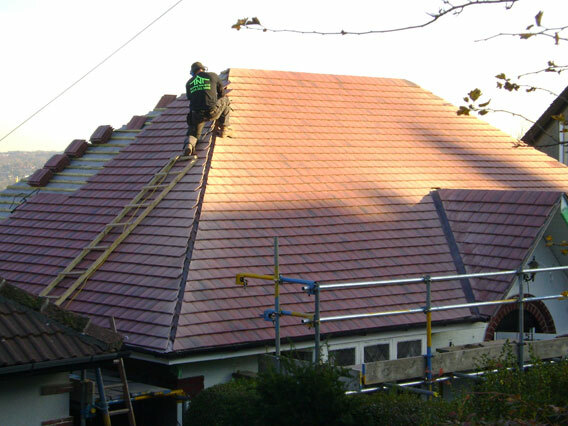 Clay Plain Tiles have been used effectively as a roof covering since Roman times. Plain tiles are small and rectangular in format and have always been 265mm x 165mm (or in fact 10 1/2” x 6 1/2”) in overall size, requiring 60 tiles per square metre. They perform by overlapping densely up to three tiles deep to achieve a watertight layer. It is this functional requirement that creates their rustic appearance, adding a sense of detail and texture to the roof. This character is enhanced by the effect of cambers longitudinally and across the width. Roof tiles manufactured from concrete date back to the late nineteenth century and became popular in the UK during the 1920’s when demand for economical roof coverings outweighed the production capacity for clay tiles. Concrete tile technology has developed tiles capable of being laid to roof pitches as low as 12 degrees. Produced in a variety of colours and finishes, some replicate the appearance of slate and other traditional roof coverings. 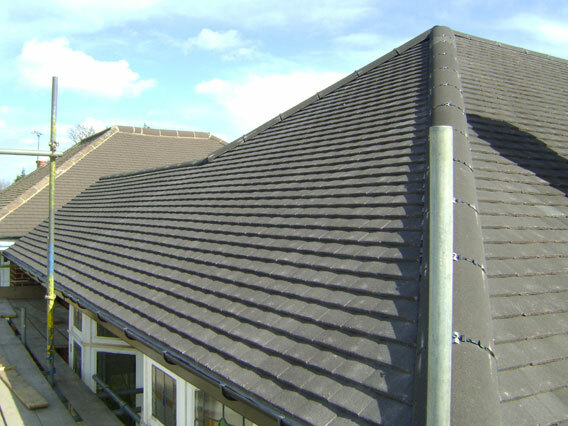 Interlocking concrete tiles are one of the most economical forms of roof tiling. Available in a choice of 7 colours and 2 textures, concrete tiles are suitable for roof pitches down to 17.5°. Today, modern technology has developed products which provide better durability and performance combined with an ever increasing variety of colours and textures, though still maintaining a traditional appearance. DuoPlain tiles combine the classic proportions and good looks of traditional plain tiles with all the time and cost-saving benefits of a modern, large-format interlocking tile. Technical know-how ensures that all of the DuoPlain tiles, fittings and components can stand up to extreme weather conditions. After rigorous performance testing in the manufactures unique, stateof-the-art wind tunnel, they then subjected the tiles to conditions replicating the UV rays of the blazing sun and the sub-zero temperatures of the Arctic. 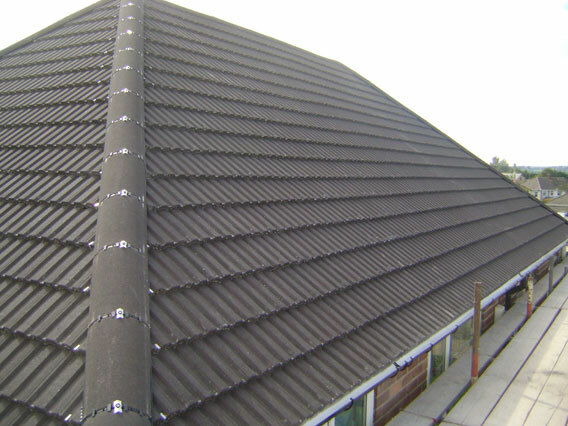 Engineered for strength, ease of handling and ease of installation, it fulfils the three main demands of a modern roofing site. Now available in six popular colours with the addition of the brand new Rustic Black, DuoPlain also comes with a full range of matching fittings and accessories.